As springtime unfolds the outdoors become artfully alive! 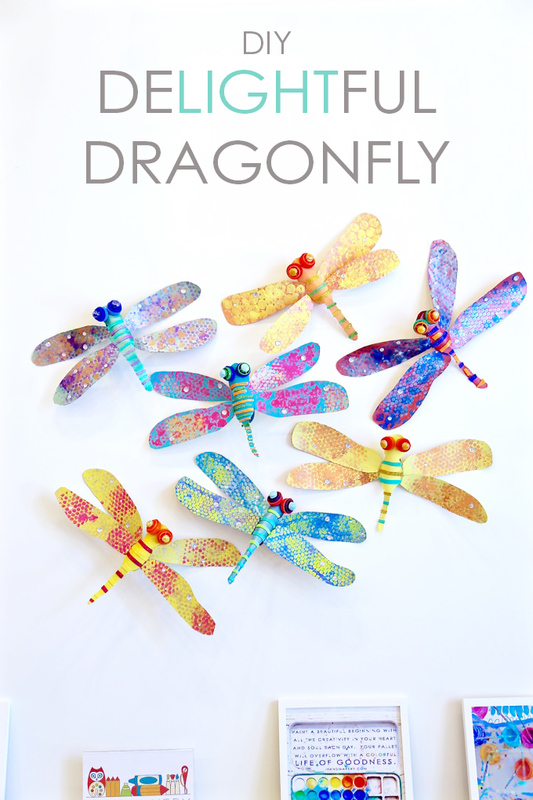 Dragonflies always mesmerize with their stealthy speed, shimmery color, intricate detail, and pattern on point. They lead us to our favorite outdoor places and spaces, including rivers, ponds, and lakes. 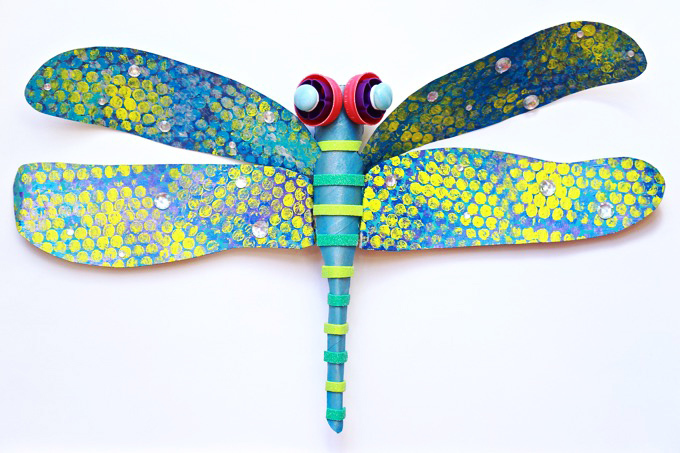 Spring into a simple process upcycling household goods to create a bountiful + beautiful ~ DIY Delightful Dragonfly dreamed up in the HANDMAKERY art studio! Simply take a peek! ©2019 HANDMAKERY. Design by Purr.